By Martin Werth, CEO, UnderwriteMe. 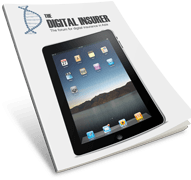 Life Insurance needs to go digital. Digital is more than technology, it’s about strategy and a new way of thinking. Digital is rewriting the rules of business to present a superior value proposition to customers during the advice process. At UnderwriteMe, my focus is on a FAIR digital outcome, defined as Fast, Accurate, Intuitive, and Rewarding. Fast is about rapidly gathering sufficient information to deliver a straight through decision, or for an expert to make a decision without further data. In the some markets, we are achieving immediate straight through decisions in over 70% of applications, since designing an application that is a third shorter than competitors without impacting risk. Each question must be easy to understand and Insurers should challenge the value add of every question to determine its risk impact. A Fast system is useless if it is not Accurate. A well designed rule set should replicate the decision of an experienced underwriter. Measuring accuracy requires good analytics and granular data, which will validate the accuracy of the rules and drive continuous improvements. Data can also enrich accuracy, for example tracking adviser behaviour to improve disclosures. The journey must be Intuitive, designed around the customer and engagement process (for example, online, tele-sales, or face-to-face). With modern technology, an underwriter can tailor the experience for the specific channel, or deliver an omnichannel journey, which is seamless regardless of how the user completes. Intuitive is also about adapting to the user, for example, pre-populating fields to make the application process easier and quicker. Lastly, the journey must be Rewarding. This is about responsive feedback and clear signposting throughout, including updating prices if terms change and a clear results screen that provides information for the user to make an informed decision. Showing standard rates, when the insurer knows there will be a loading is not Rewarding and, in fact, costly for both advisers and insurers. A Rewarding process reduces unfinished applications and gives the adviser an early indication of the expected price. In summary, FAIR is about designing a compelling process where the user feels in control. If you start with a user-driven strategy, the technology is just the enabler. One of the many successful examples comes from a client who selected our systems to address their falling sales. Within a span of six months, applications were up 30% and in two years, new business had doubled whilst the market remained flat. 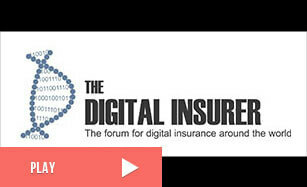 Looking forward, the Asian life insurance market is on its way to embrace digital. With the ever-changing landscape, the opportunities to differentiate through improving customer digital experience will be key. Starting his career as an Actuary, Martin has over 20 years’ experience within the insurance industry and has won numerous awards for his work helping people sell life insurance. Martin was previously Managing Director at Ageas Protect (now AIG Life). Under his leadership, Ageas went from a standing start to an 8% market share among IFAs, worth £30m in annual premiums. Martin started UnderwriteMe with aim of making insurance easier to buy and sell for customers, advisers, and insurers. Now in its 6th year UnderwriteMe provides a suite of technology that combines the latest digital innovations with automated underwriting solutions. This includes its market leading Underwriting Rules Engine, Business Analytics, Workbench and Claims Engine giving insurers the speed, scale, and data needed to achieve market-leading results.